The types of threats targeting enterprises are vastly different than they were just a couple of decades ago. Today, successful enterprise attacks are rarely executed by the “lone wolf” hacker and instead come from highly sophisticated and professional cybercriminal networks. 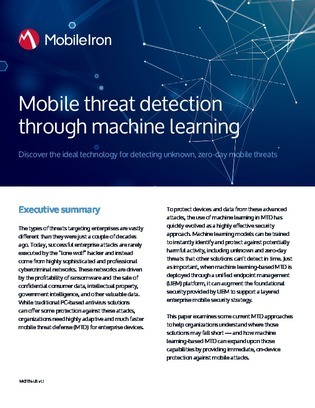 In this white paper, find out why some common solutions are less effective against modern threats and how machine learning security compares to cloud-based threat detection and traditional antivirus solutions.